How??! They look so perfect! Fiddlesticks! 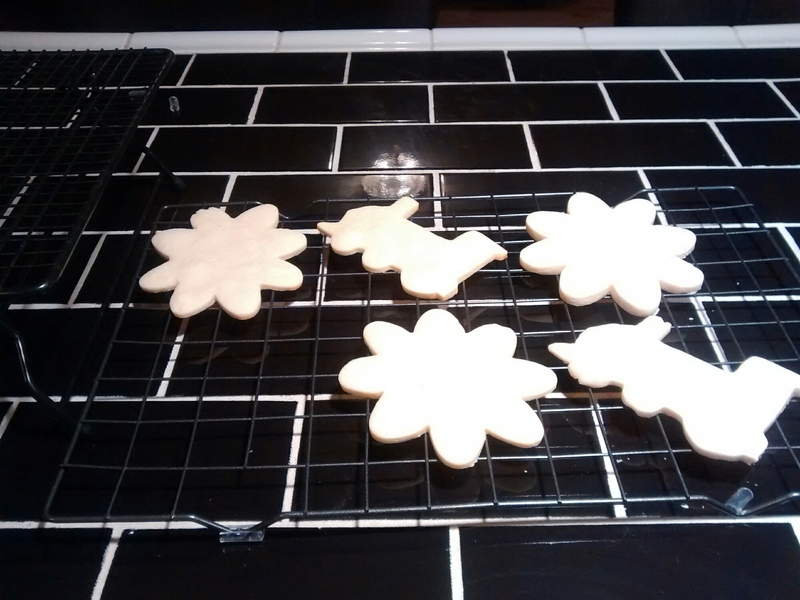 I used cookie cutters and they still looked blobby! Do you chill the dough? It sat in the fridge for a couple hours. I chilled it obsessively. After making it, after rolling it out, after cutting out, everything. Boo! Oh i only chilled it a couple hours then rolled, cut, and baked. My recipe was very basic – butter, sugar, an egg, salt, vanilla, sifted flour.